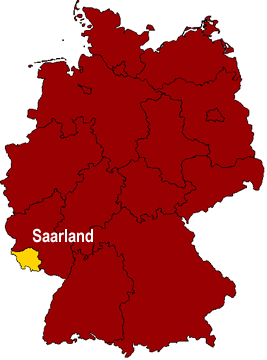 The state of Saarland lies in the southwestern part of Germany. The state is bordered by the German state of Rhineland-Palatinate (Rheinland-Pfalz), as well as the countries of Luxemburg and France. Saarland has much of its land covered by forest. Running through it is the Saar River, which is what gives Saarland its name. 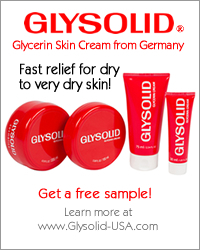 It is also one of Germany's warmest regions. The most significant industries found in Saarland are the automobile and automobile-supply industries. Both Ford and Michelin have a presence here. Other important industries to Saarland include steel mining, ceramics, and computer science. Cooking in Saarland can be described as rich yet simple. This stems historically from the labor-intensive work done by the residents (such as mining and farming). They needed the energie-rich foods to sustain their health. At the same time, the food had to be cost-effective as well as easily accessible. From this need came many potato dishes, which were inexpensive and easy to grow. Likewise, onions, leek, cabbage, beans, and other vegetables became important in cooking here. 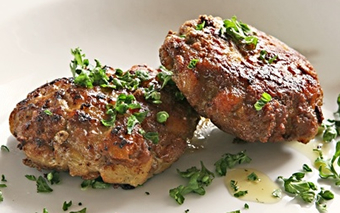 Saarlanders are very fond of outdoor grilling, or what is known in Germany as "Schwenkbraten." "Schwenk" means to swing back and forth. Unlike the standard stationary grill, the "Schwenkbraten Grill (Schwenker)" is similar to a rotisserie. However, instead of spinning meat on a rod, the Schwenkbraten Grill swings the meat back-and-forth over a fire. This is supposed to cook the meat evenly. Also very common in Saarland is the combining of sweet and savory dishes, such as serving a sweet fruit cake with a hearty soup. Some examples include potato soup (Kartoffelsuppe) with apple cake, and bean soup (Bohnensuppe) with plum cake. Popular foods and dishes in Saarland are listed below. The five largest cities (in terms of population) of the state of Saarland are listed below. Saarbrücken is the capital city of Saarland, as well as its largest city with a population of 180,000 (as of June 2006). Saarbrücken is Saarland's political, economic, and cultural center. Neunkirchen is the second largest city in Saarland. It has a population of 49,000 (as of March 2006). It dates back to the year 765 AD and has strong historical roots in the coal and iron industries. Homburg, the third largest city in Lower Saxony, has a population of 44,000 (as of March 2006). It is located on the foothills of the Palatinate (Pfälzer) Forest. Saarland's fourth largest city is Völklingen, which has a population of 41,000 (as of March 2006). The city dates back to the year 822 AD, beginning as a colony of peasants. Sankt Ingbert, with a population of 38,800 (as of August 2006), is Saarland's fifth largest city. The city is named after Saint Ingobertus, who lived in the city in 580 AD.